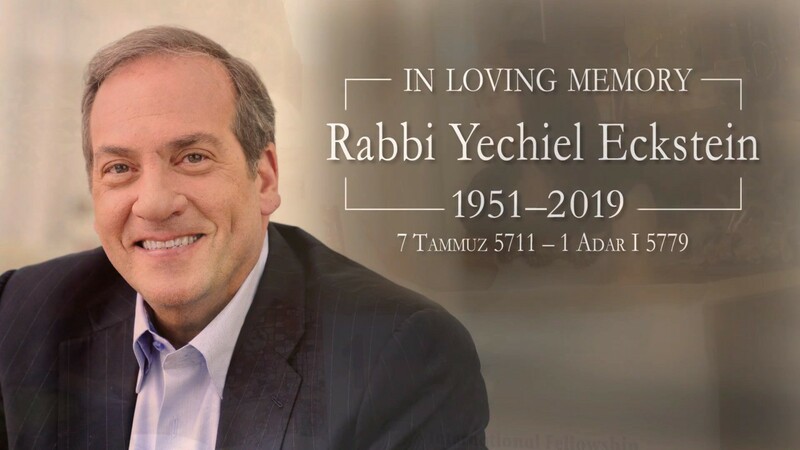 Rabbi Yechiel Eckstein shared some of his thoughts on the common ground that unites Christians and Jews in loving and supporting the State of Israel. “Firstly, the New Testament, Paul in Romans 9 talks about how Christians have been grafted onto the rich olive tree of Israel. And by grace you’ve been grafted on and Paul warns, he said, “Don’t be arrogant because remember, the root supports the branch, not the branch, the root.” And so Christians are rediscovering the Jewish roots of their faith. The Shabbat, the importance of the family, and tzedakah, charity, et cetera. And the organization has grown. Today we have 1.6 million Christian donors, mainly in the United States, but also we have an office in Canada and Korea, Brazil, and different parts of the world that we address through radio and television and Internet today goes so far. So we’re able to continue to grow. In the past 20 years, we have raised $1.4 billion mainly from Christians who seek to help Israel and the Jewish people. And again, it’s apolitical help. It’s helping all the people of Israel. Moslems, Jews, Christians, Druze, Haredi, secular Jews, they all get the same services so that during the winter. Last week, for example, when there was a cold, we have a project that provides funds and blankets to elderly who are cold, who don’t have money for electricity. We get calls like that every day at our central call center. We have a call center, hundreds of people every day call us from all over Israel. Since Israel is an immigrant country, we have people in seven languages answering the phone. We have 25 people, but in seven different languages. All sorts of problems that people have, their electricity was cut off because they couldn’t pay the bill. Their water was turned off, they’re being kicked out. Last week, an 86 year old holocaust survivor is being kicked out of her small, tiny apartment because she can’t afford the rent and she has no place to go. So we find a place for her. It’s just, the problems are many. The government, in my opinion, the government of Israel does not do enough. It can always say that it’s, and it’s true that, a large portion of our funds here are being directed towards the military and defense. But Israel is a now booming as a technological startup nation. And yet when it comes to the measurement of poverty of the OECD of western country, Israel is at the bottom. So it’s this clash between the image of Israel that is modern, technologically innovative and it is, and it’s all true. And people in Israel live longer than other countries and they’re happier here despite everything. And yet, one out of every three children goes to sleep hungry at night. One out of every four elderly lives below the poverty level and has to make a decision every day. They get a meager pension. Many of these immigrants of the people, the elderly are immigrants from the former Soviet Union who came with nothing. No pension, no savings, and now they’re totally dependent on the government pension, which is meager. Even the government itself admits that the pension that they give for the poor is only able to cover roughly 40% of the basic needs of the people. So we help in a variety of ways. We provide not just food and for poverty, we also have two other major programs. One is Aliyah, where we have brought roughly 800,000 Jews from every part of the world to Israel to live here. We are now operating in 29 countries and we bring thousands of Jews to Israel and then we help resettle them here. And the third area other than poverty and Aliyah as it’s called, is security. We have built or refurbished, for example, here in Israel, over 5,000 bomb shelters and command centers. And we help the poor soldiers. We don’t help politically or militarily, but Israel’s army is a reflection of the society. And you have a lot of poor people who are drafted into the army and need help. Not only for themselves, they need help for their families. Often this 18 year old boy or girl is also the provider of funds and food for their parents, and the parents rely on that. People who came from Ethiopia, the black Jews of Ethiopia, the parents barely speak Hebrew, and so they rely on the younger generation to help them financially. The way we found out about it is because we found a disproportionate number of Ethiopians during the military three years, that they serve disproportionate number of them having to go to military jail for being what’s called in America, AWOL. For going off and leaving the base and doing. And we did a study, it just didn’t sound right. Why are Ethiopians going to jail for AWOL in the disproportionate numbers? Because they’re black, and they’re being mistreated? We found out that these people almost always, they went home to help their parents in the little kiosk that they may have and that the father is sick and needs someone to do it, and that’s their only source of income. So we help there too. And we provide security all over the world to Jewish institutions that are threatened. Everywhere except the United States, England and Canada and Australia. And the reason we don’t provide funds there is not because there’s no antisemitism or terrorism. We all know that there is, but because we expect those nations to be able to care for their population’s security, and not to have to rely on outside sources. But we do provide security to over 200 cities and Jewish synagogues and Jewish schools in over 200 cities around the world, all of India, all of Thailand, all of China, et cetera, et cetera. Wherever there’s a Jewish community and it’s threatened, we provide security. So bottom line is Christians have found and are finding through our ministry a way in which they can tangibly, meaningfully bless Israel and the Jewish people. Every year we are helping 1.4 million people around the world. It’s unbelievable. And it’s causing Jews to have trust to break down the walls of suspicion that Jews have of Christians. And, today as opposed to when I began 36 years ago, true Bible believing Christians are seen by Jews as our best friends. In fact, perhaps our only friends. And then when you travel around the world, South America, there was 20 years ago, even long after I started, 20 years ago, the Evangelical Pentecostal population in South America was maybe five 10% in each country. Today there isn’t a country in South America that doesn’t have at least 30% Pentecostal Evangelical. And many of them are entering into public life, political life. Like certainly in Brazil and in Guatemala where Evangelicals are becoming precedent, and the church key Pastors are being in involved in this. So, there’s a lot of room for continued help. We help roughly 110,000 elderly Jews, many of whom are Holocaust survivors in the former Soviet Union alone. And we have supporters and in the far east, there’s such great potential yet. There’s so many Christians today who wants to do good, who want to help Israel and the Jewish people and who don’t know how. Or who are not politically motivated or ideological. That’s what the fellowship tries to do. We have 400 projects. So if you’re interested in adopting children, we can arrange that. If you’re interested in helping orphans, we give to that. We’ve soup kitchens, and it causes people like this woman from Argentina with the largest nonprofit helping the poor and close with the president of Argentina to come all the way here to Israel to see our projects, to meet with me, to see how we can help them do better. And I believe that it’s the combination of the two, the Jewish community sitting down together in cooperation with the Christian community and with the blessings of government. I don’t know what the situation in England is, but I just learned, for example now than in Argentina, you can only get 5% tax deduction on your gift to nonprofits. And that’s terrible because there’s no incentive then for the business community to help the poor. They’re just getting back 5%. So there are things that can be done legislatively that would help the situation of poverty, certainly in Israel and the former Soviet Union around the world. But, the key thing I’d say is that for 36 years, the Fellowship has been one of the key bridges between the Jewish and Christian communities around the world. And in helping Christians bond with Israel and the Jewish people. We see it as a partnership. It’s not just Christians giving money to help orphans or whatever. This is a partnership of Christians and Jews, Israel and the United States and Canada or wherever it is coming. Now the only thing I’d finished with here is that Britain has a especially unique role to play, not just because of if I can call it making amends. Like the president of Austria who was here yesterday, just made a statement that it took them too long to acknowledge the role that Austria played in the Holocaust. At least they acknowledged it. The president is acknowledging that it was evil and that it took them too long to … You have a situation in Poland and Hungary and other parts of Europe where antisemitism is coming again. Right the same way. Jews control the world, Jews control the banks, and it’s happening right in front of our eyes. I believe England plays a special role. I believe England has to admit and some have, I’m not sure. I believe Prime Minister May may have been the one to say that it was an error, a mistake not to allow Jewish refugees during The Holocaust, World War Two and after to come to Israel, instead to be abandoned by ships. Ships in the United States too. United States, the St Louis ship when left from the Europe and The Holocaust and went right past Cuba, New York, and was sent back and the people were killed in The Holocaust. Today we’re seeing that same pressure in a different way. Just the other day saw a piece on the 15,000 or so people who’ve lost their lives trying to flee northern Africa or something by boat and dying at sea, and nobody even knows about it. You have a huge refugee problem today, and frankly, Europe doesn’t know how to do, no one knows how to deal with it. And it’s bringing down governments who are too liberal and causing a nationalistic reaction of keeping our borders secure, which of course is important, but not welcoming the strangers and the people who are fleeing oppression. There’s just so much darkness, unfortunately in the world and we Jews thought that it was over for us. That The Holocaust taught the world the lesson, never again. And here we are today, in 2019 seeing pronouncements of pure antisemitism. Just again today, every day, it’s on the paper. But in France, how the yellow jacket movement has being talking about pure antisemitism. That it’s the Jews’ fault. We haven’t in America. We never thought that it would get to America. England is where Christian Zionism started. I’m not sure if people even are aware of that, but in the late 19th century, Christian Zionism started with Pentecostal Evangelical ministers, and today some whatever, 110 years later, so Christian Zionism is flourishing. Which leads me to believe that all this is of God. That this is not of the natural. Yes, I spent 36 years working toiling and others did too, but ultimately if God wouldn’t bless it, then it wouldn’t happen. And God wants to bless such efforts. [Hebrew 00:22:40], how good and how pleasant it is for brethren to dwell together in peace. I believe God is calling us all on a mission. And case of Christians and Jews to do that mission together to bring more light into the world of darkness, to help those who are needing their basic foods and medicines and heating. I’m very grateful to God that he put me in this place, that he gave me this challenge, that he held my hands during the years because I was vehemently opposed by pretty much the Jewish community in those earlier years. I even had to have bodyguards sometimes. Not from Christians, but from Haredi Jews, more right-wing Jews who like to keep it very simple. Christians hate Jews. And there are still those who live in those 2000 year history with that same mindset. And I think what’s happened in the past 36 years, 40 years, not just thanks to me and the fellowship, but thanks to many Christian ministries, and others is that today there’s reconciliation’s, there’s cooperation. And the Bible says the two are better than one. And so that if one falls, the other can lift him up. I believe that God is calling Christians and Jews together to blesses Israel, to bless the Jewish people and to bless the vulnerable and the needy and the insecure and the refugees. How to do that and for a country to stay financially solvent and how to build multiculturalism with groups of people that don’t want to adjust to the mores of the country.